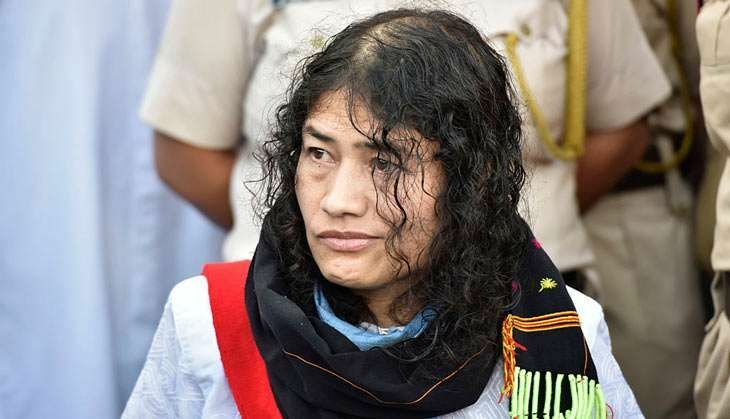 Amid rife speculations about plans for her future in politics, human rights activist Irom Chanu Sharmila, who ended her 16-year-long fast against the Armed Forces Special Powers Act (AFSPA) has said that the Janata Dal United has offered their support to her in her endeavours, even if she does not join their party. Speaking to ANI from the Jawaharlal Nehru Institute of Medical Sciences hospital, Sharmila said that her next plan is to enter politics and gain power to repeal the 'draconian' AFSPA. "I need to have the power first to further my cause. It's too early to announce anything. The JD (U) has assured me their full support, even if I do not join them," she said. Talking about the backlash she was facing from the locals regarding her decision to end the fast and join politics, Irom said that she has been gravely misunderstood by the people. "They misunderstood me, about my real being. They have been seeing me from their own version without connecting with my heart," she added. Earlier, the Janata Dal-United (JD-U) termed her struggle as part of Mahatma Gandhi's principle, adding she is a strong person. "We wish her on this and salute to her long struggle. If a person in her normal life based on values does hunger-strike, which is part of Mahatma Gandhi's principles and is a long struggle, then definitely she is a strong person. I congratulate her strength," JD (U) spokesperson Neeraj Kumar told ANI. After ending her fast, Sharmila yesterday expressed desire to serve the people of Manipur as the Chief Minister. Addressing the media after breaking her hunger strike in Imphal, Sharmila said that she has been called the 'Iron Lady' of Manipur and would want to live up to that image. "From today onwards, I have ended my fast. I want to join politics as I've been called the Iron lady of Manipur and I want to live up to that name," she said. Sharmila was arrested and released several times under Section 309 (attempt to commit suicide) of the Indian Penal Code (IPC). However, she rejected the allegations that she ever tried to commit suicide, saying she was on a hunger strike demanding AFSPA withdrawal.